One morning I woke up and thought “I want to do some hiking in the mountains”. So I got up, bought a train ticket, packed my gear and in the evening I arrived in Åndalsnes. If you don’t live your life now, then when will you do it? The next day and the day after that I went hiking Romsdalseggen. I’ll post some of the photos here and you can find the rest in my Flickr gallery. You walk on the left side, next to the snow. Photos from Romsdalseggen with a bluegrass soundtrack. 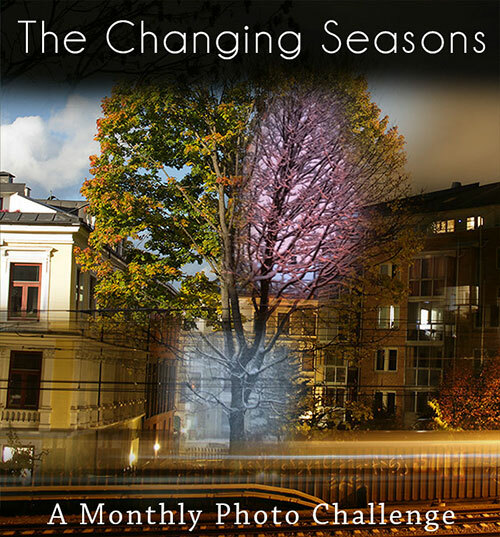 This entry was posted in Landscape, Norway, Sports & Activities and tagged #MonthlyPhotoChallenge, #TheChangingSeasons, 2017, hiking, July, landscape photography, landscapes, Monthly Photo Challenge, mountain photography, mountains, mountainscape, Norge, Norway, Romsdalseggen, The Changing Seasons, trekking. Bookmark the permalink. Thank you very much Tish. I loved your entry! Wonderful! 🙂 🙂 Such beauty is life affirming. Yes it is and I really need such beauty from time to time. Thank you Jo! It’s breathtaking – both the scenery and getting up there. Thank yo very much Irene. The strength in the landscape and muted colours of the top photo ‘View from Romsdalseggen’ are great. Thank you very much Mr. Benneth, I highly appreciate that feedback. Such amazing vistas Max- and the banjo goes perfectly! I could have listened to that opening banjo lick all day long! (It’s actually the reason why I recently bought a banjo). Your mountains are magnificent. That must have been some climb to get up there with cameras at the ready. Norway’s mountains are amazing. You don’t hear much about them in the US. You hear about fjords, mostly. Just wonderful! The best way to see the fjords are from somewhere up on a mountain. It’s good for both the eyes and the soul to be able to see as far as your vision can reach. Breath-taking!! And I do love that blue-grass. I’m sure your reportage will be amazing and I’m looking forward to see it. Come back and leave me a link once it’s done (so I won’t miss it). That trip was clearly a brilliant idea Max – what views! And the bluegrass soundtrack had me running up and down the mountains! I totally love that song and yes: the trip was a brilliant idea! WOW, so amazing! Especially the panoramic photos. The landscape is unbelievable. Fantastic vistas Max. Great music too. What a beautiful country you live in. Thank you very much for the feedback. Yes, it’s a lovely country. Splendid scenery around here. So beautiful it made me weep! Can not wait to see that in person myself someday. Currently following in your wake in Bangkok! After a planned detour to Angkor Wat, heading to Chiang Mai on 31 July. Bangkok is so much fun! I haven’t made it to Chiang Mai yet, but hopefully on my next visit to Thailand. 🙂 Safe travels! Your trek pictures are fantastic! That was quite a hike! It was a short, but nice hike. I did it two times – the first day for hiking, the second day I took my time so that I could catch all the details in the scenery and get some nice shots. I can see why you are drawn to this place. It is magnificent! I agree wholeheartedly. If you don’t live your life now, then when? It’s like the Northern Hemisphere summers: suddenly they’re gone and it’s too late. I guess there are 2 types of people in the summer – those who like the idea of laying by a body of water all day with a drink in their hand, and those who are constantly on the move trying to squeeze in one more thing to do or see. If I had glorious mountains like that near me, I’d be on a train in a heartbeat!! I’m actually depressed now because my plan was to take my son to the mountains this week, but the weather is bad there, so we’ll have to stay at home… I definitely prefer the mountains over the beach! Love the imagery. Romsdalseggen and Norway seems beautiful.